Emmy's Organics is committed to YOU having it all. Co-Founders, Ian & Samantha pride themselves on the quality, creativity, and sustainability of their products. With respect for our bodies and the earth, they use the finest non-GMO ingredients and earth-friendly packaging materials. Their food is derived from nature, which in return nourishes you in the best way possible. Plus, their products are DELICIOUS! 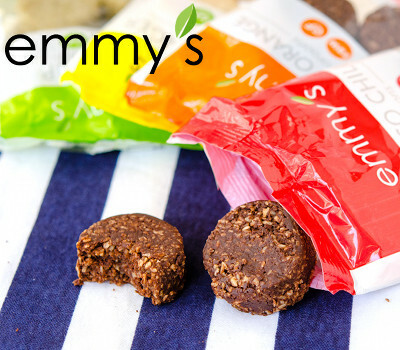 Emmy's Organics goods are made in a certified vegan & gluten-free kitchen. 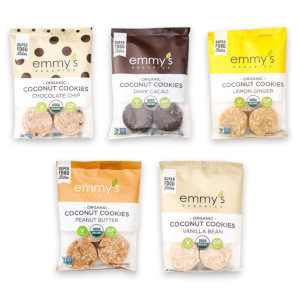 Follow Emmy's Organics and get notified when they add new offers to Vegan Cuts.